The milk parlor at Pasture Nectar Farm stays impeccably clean. As Eric Vimont and his son, Jake, milk two head at a time, a 5-gallon bucket of steaming hot water sits between them as a source for perpetual sanitizing of the milking equipment. They routinely rinse the floors and walls while their beefy-looking milk cows chow on organic alfalfa pellets tossed with organic dehydrated molasses. While he works, Eric jokes his first word as a baby should have been “cow.” “I love cows,” Eric Vimont stated with a wide grin. Even though he grew up in the suburbs of Portland, Ore., Eric was born with a passion for farming. His full-time farming dream emerged as reality in 2006, when the Vimont family left Washington state and bought a 70-acre farm in Mount Vernon, Mo. 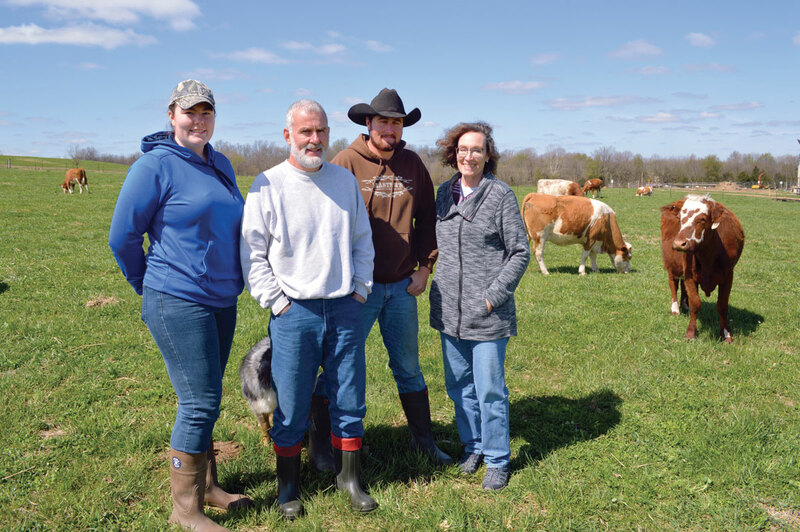 Eric, along with his wife, Kathy, son, Jake, and daughter, Hannah, developed Pasture Nectar Farm specializing in raw milk and grass-fed beef and lamb. The Vimonts welcome customers and visitors to Pasture Nectar Farm. 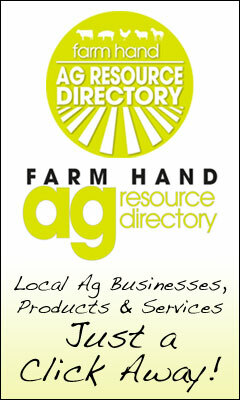 The Vimonts want people to see their farming practices in action. “It is a much more personal way for customers to buy their food. 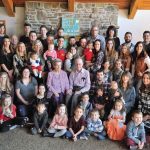 It is about connections and relationships rather than buying it at the grocery store,” Kathy Vimont explained. Pasture Nectar Farm sells raw milk. The Vimont family milks 12 to 15 cows, collecting as much as 25 gallons of milk daily. They sell half-gallon jars of raw milk to 95 families in Southwest Missouri. “We started small and by word of mouth it spread,” Kathy said. Many of the customers pick up their products at Pasture Nectar Farm. 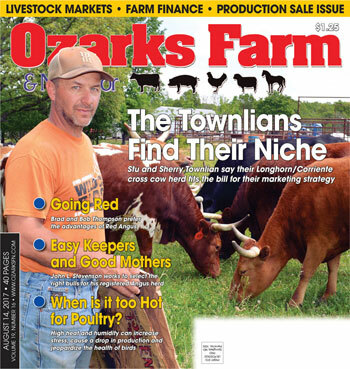 The Vimonts also make three weekly deliveries to locations in Springfield, Mo., and Ozark, Mo. The Vimonts decided to sell raw milk after they began drinking it themselves. The Vimonts state that pasteurization and homogenization depletes milk of healthful enzymes and nutrients they want for their family. In order to provide the highest quality raw milk, Pasture Nectar Farm implemented numerous steps to keep the milk clean. “If you can’t keep your milk clean it will not have as good of flavor and it will have a shorter shelf life,” Eric said. The farm is equipped with manure chutes to aid in getting rid of waste quickly. The Vimonts use an iodine solution to clean the surface of the cows’ teats. In addition, a new cloth is used to wash and sanitize each cow’s udder. The milk makes its way through a filter before going into a state-of-the-art cooling tank. The tank quickly chills the milk to 36 degrees Fahrenheit. Once chilled, the Vimonts bottle and refrigerate half-gallon jars. The Vimonts originally purchased Milking Shorthorn cattle for their farm. But in 2010 they started breeding their Milking Shorthorns to a fullblood Fleckvieh bull. A year and a half ago, in order to accelerate the process, they went to Wisconsin and purchased six fullblood Fleckvieh heifers and a fullblood Fleckvieh bull, concentrating in A2 genetics. Pasture Nectar Farm was inspired by the farming practices of Joel Salatin. Though Pasture Nectar Farm is not certified organic, it follows many organic methods. All the livestock are solely grass-fed. In the winter months, the cattle and sheep receive balage that the Vimonts make from their own pastures. They plan to plant winter annuals like triticale and barley to add to next year’s balage. 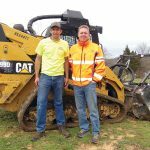 The Vimonts have spent years working to improve the quality of the soil on their property without spraying chemical fertilizers. They applied sulfur, boron, organic molasses, and C90 sea salt to increase the soil’s fertility. But the biggest contributor to soil improvement lies in the Vimont’s rotational grazing system. “The most important factor in building good soil is the proper use of livestock,” Eric explained. The Vimonts split their acreage into paddocks and rotate their cattle as often as twice daily. Bulls born on the farm are kept for steers and heifers are retained for replacements. The Vimonts sell the USDA-certified meat in whole, half or individual cuts. In June, Pasture Nectar Farm will have more grass-fed lamb for sale. The Vimonts are grateful for the positive response from customers and hope to educate more people about their farming practices.